Ask even the most successful sales professionals if they had always envisioned a career in sales, and more often than not, the answer will be no. This rings true with Gerald Meux Jr., a national account sales representative at Hormel Foods. While enrolled at Arizona State University, Gerald had his sights set on the National Aeronautics and Space Administration – better known as NASA. “I wanted to be an astronaut,” he says. From a young age, Gerald was always intrigued by math and science, but more specifically, by flight. By age 4, he was flying model airplanes with his father. By age 9, he was flying his model airplanes solo. But it was a day he recalls in fifth grade – called rocket-build day – when his love for flight was taken to new heights. 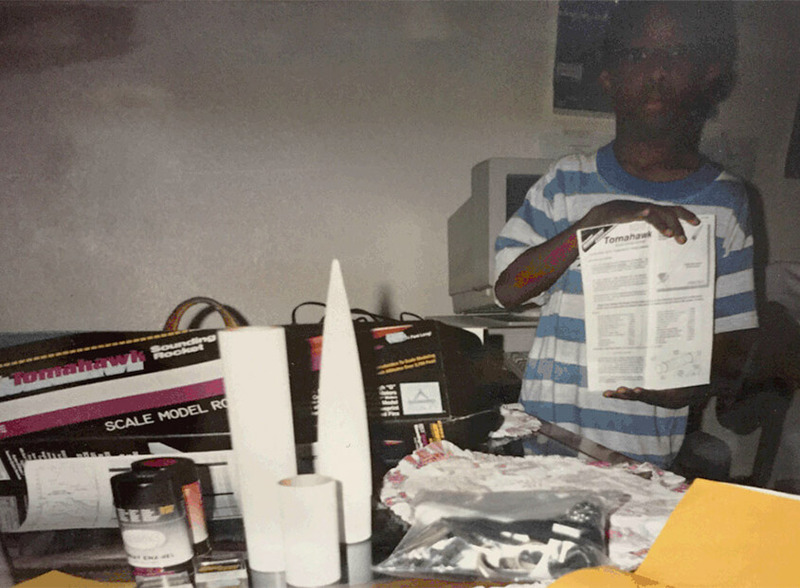 Gerald Meux Jr. started building rockets at a young age. By the time sixth grade rolled around, Gerald was about 50 rockets deep into his newest hobby, and there was no turning back. Fast forward to 2009 – Gerald’s senior year of college. While he knew being the next Buzz Aldrin was unlikely, Gerald still aspired to work for NASA as an aerospace engineer, putting his love for science, math and rocketry to work for the country. But in June that year, lawmakers slashed more than $600 million from NASA’s budget request, resulting in a high level of uncertainty for the agency and significantly reducing the number of jobs available to new grads. With money now consistently coming into the bank, Gerald was able to carry on his hobby, which had morphed from building model rockets in the fifth grade to constructing high-power rockets with the propulsion power and ability to fly for miles, often requiring federal aviation administration waivers to arrange for air traffic to be clear of the flight area. 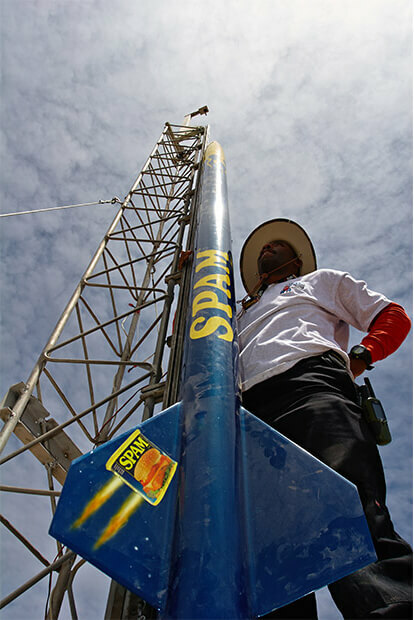 Gerald Meux Jr. with the rocket he built, which is now on display in the SPAM® Museum. Today, Gerald credits his development and increased business acumen acquired at Hormel Foods with his heightened leadership role with the Tripoli Rocketry Association (TRA) – one of the major organizing bodies for high-power rocketry. Conversely, Gerald has successfully taken skills he learned during various roles with TRA back to work. As advertised, Gerald has been able to advance his career within the foodservice division, which includes stops in Chicago, the Twin Cities, Las Vegas and Los Angeles. He was recently promoted to national account sales representative in the foodservice division and is now based at the corporate office in Austin (Minn.). I am proud to share my hobby and story with others in the hopes that I may inspire the next high-power rocket engineer or future Hormel Foods employee. 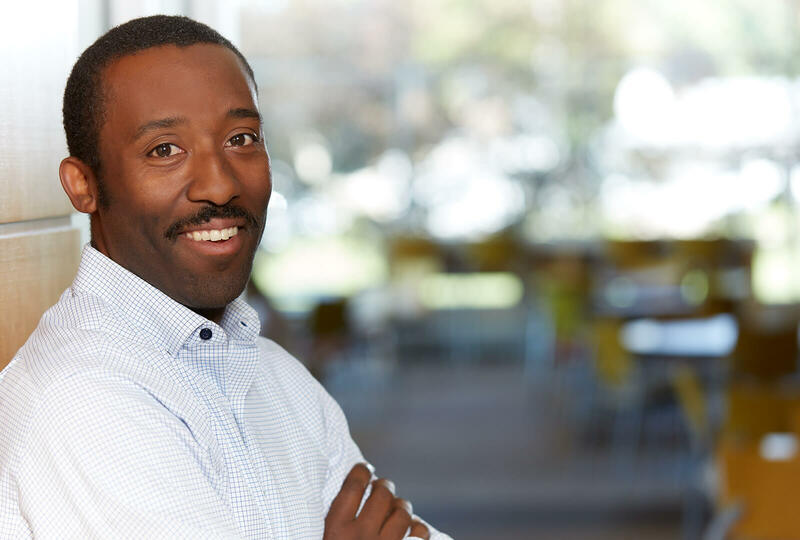 While the size and power of Gerald’s rockets and his career at Hormel Foods concurrently progress, so does his passion for giving back to the community. Earlier this year, Gerald was a featured speaker at a local TEDx talk and shared how it’s possible to passionately pursue a hobby while working in a totally different career, enjoying the best of both worlds. And to come full circle, Gerald recently partnered with the SPAM® Museum to offer a rocket-build day for young children, similar to the one that launched his love for rocketry when he was in fifth grade. 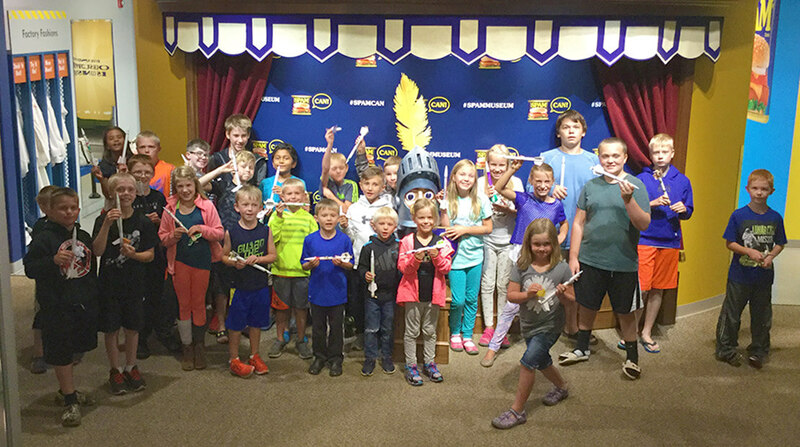 Kids who attended Gerald’s rocket building event at the SPAM® Museum.